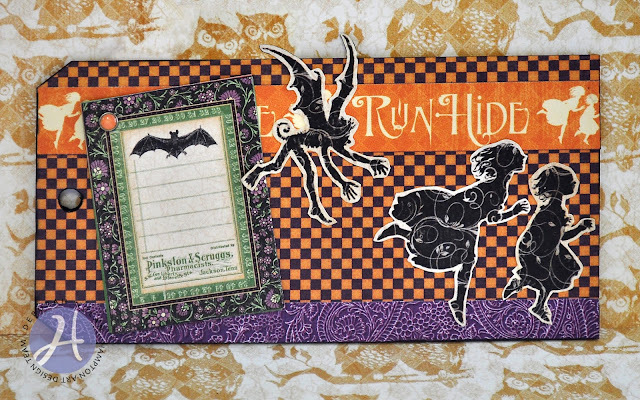 Today I've got another Halloween tag featuring Rare Oddities and An Eerie Tale products from Graphic 45, and this is another one with a trick to go with the treat! Cut patterned papers, brush edges with black marker, and adhere to tag (order: checks, purple paisley, border sentiment strip). Re-punch hole and edge with brush marker. 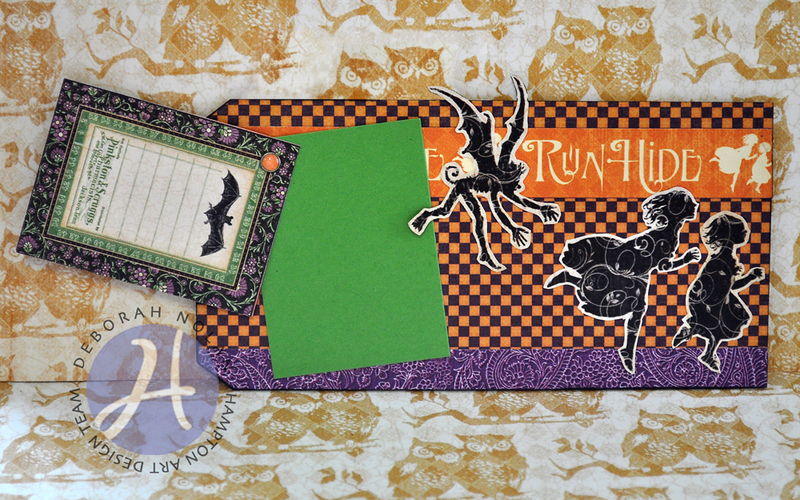 Cut frame and matching sized panel from green cardstock and attach to one another with pearl brad. Adhere green panel to tag. Fussy cut figures from patterned paper and adhere.